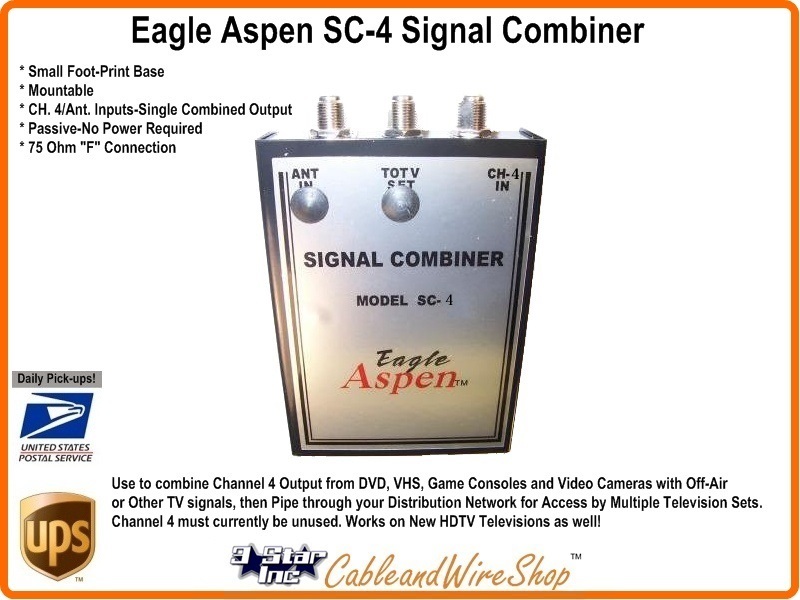 Use to combine Analog Channel 4 Output from DVD, VHS, Game Consoles and Video Cameras with Off-Air or Other TV signals, then Pipe through your Distribution Network for Access by Multiple Television Sets. Channel 4 must currently be unused. Works on New HDTV Televisions as well! Note: These Analog TV Channel Inserters for CCTV and Local Production Distribution are getting increasingly more difficult to find, we have the last production lot in stock, limited quantities available for a short time.